Power Equipment Direct is your online outdoor power equipment dealer. Buy power equipment now and save. Power Equipment Direct has a wide selection of outdoor power equipment for sale. Jared has an extensive technical background working with electronics. He attended the Universal Technical Institute where he earned a degree in Automotive Technology and worked on cars for 10 years. In the Army, Jared graduated with honors from the US Army Aviation Academy as a helicopter technician. He also has experience working with towable AGPU generators that are powered by a jet engine. 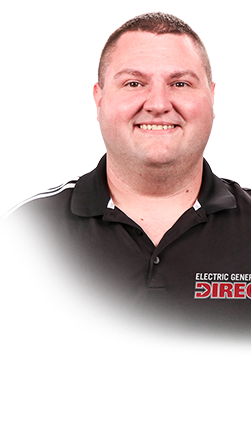 With so much technical experience working with generators, cars, and helicopters, it's no surprise Jared has become an essential part of the Electric Generators Direct team. Power Equipment Direct is your outdoor power equipment superstore. Wide selection of power equipment for sale, including electric generators, air compressors, chain saws, lawn mowers, log splitters, pressure washers, snow blowers, sump pumps, water pumps, rototillers, paint sprayers, leaf blowers, edgers, welders, string trimmers, hedge trimmers and chippers.